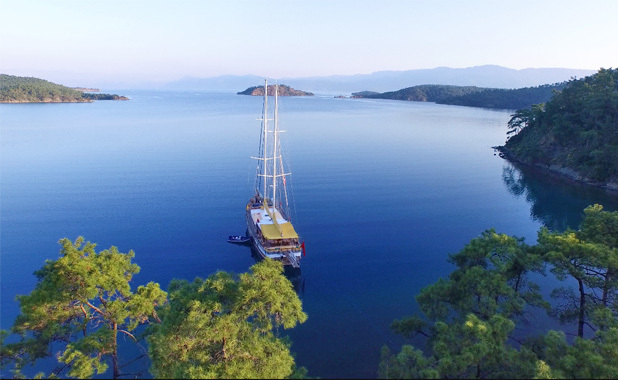 Alternatively you can opt for a luxury gulet Cabin Charter whereby guests book a cabin only and join a group for a fixed itinerary on the Aegean cruise of a lifetime. 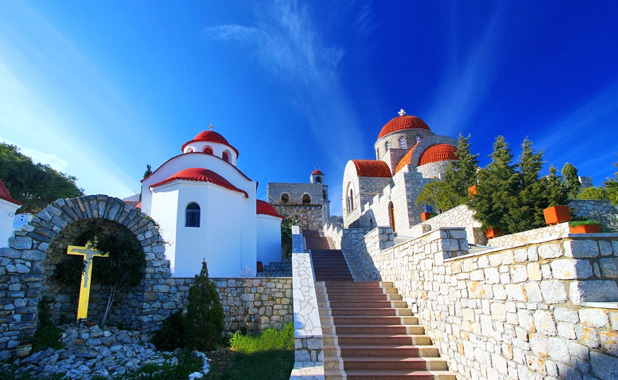 This affordable vacation option is ideal for singles, couples or small groups. Children from 8 years of age are welcome. 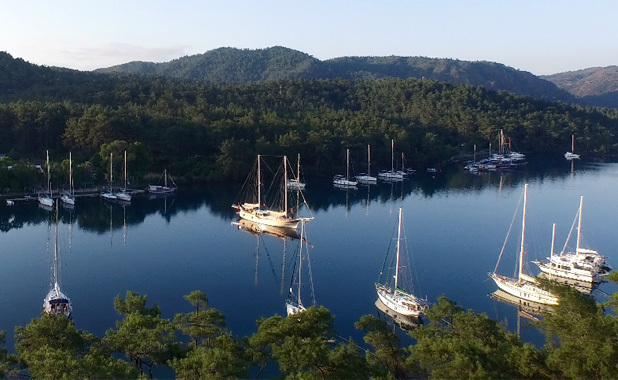 Neyzen was the first in the region to offer high-end Cabin Charters with all the 5-star comfort and luxury amenities of private charter. 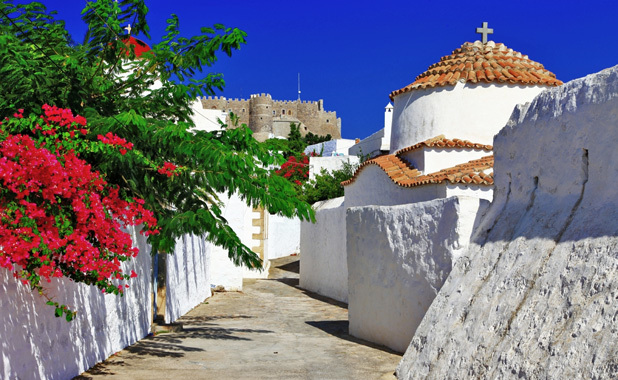 The clientele you join on board is international; we bring together groups of like-minded travelers of similar age in order to create the best, shared experience possible. 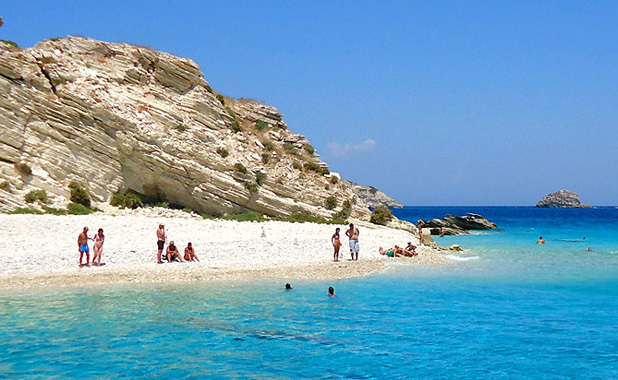 Excursions off board are arranged for individual interests, ensuring everyone gets to do exactly what they want. 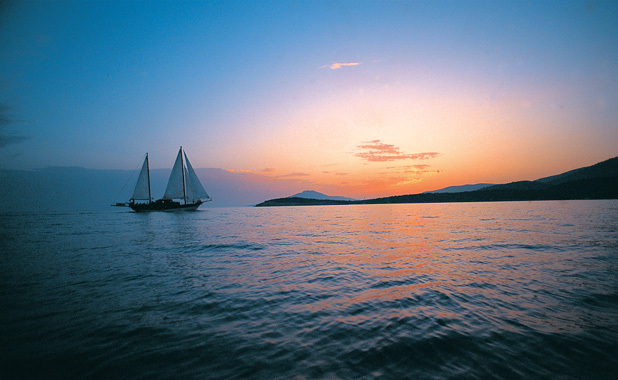 Our yachts are designed to give you the ultimate in space, comfort and luxury. Accommodation offers the choice of a master cabin with a king-size bed, a superior cabin with a queen-size bed, or cabins with either a double or twin beds. Each cabin has its own sizeable bathroom. 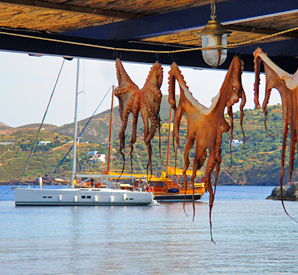 Your crew for the cruise includes a skilled chef who provides an irresistible menu of local and regional specialties every day. All meals and beverages are included throughout the week’s voyage. 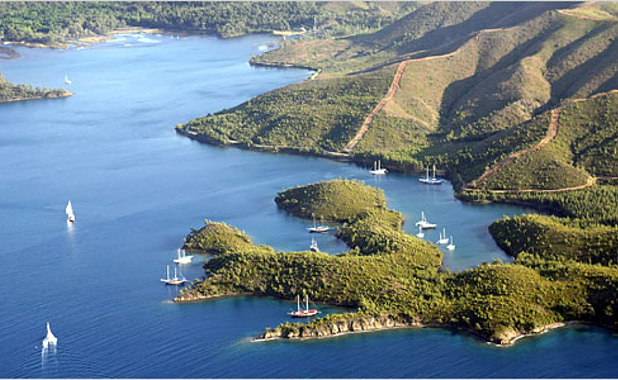 Cabin charter on board one of our deluxe yachts is available starting every Saturday from April 21rd through October 31, 2018..
Airport Transfers on arrival and departure to/ from your yacht connecting with Bodrum, Dalaman or Kos airports will incur extra cost. 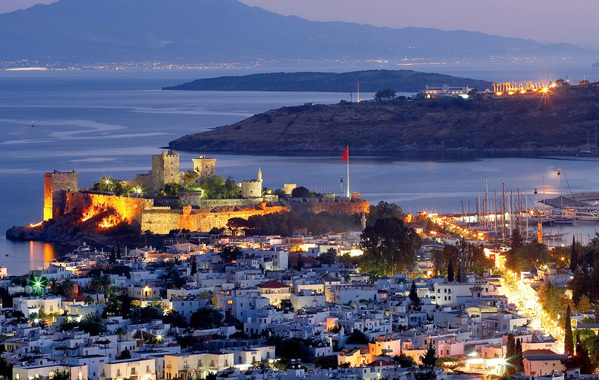 Starting and ending in Bodrum this cruise touches on some of the most enchanting spots in the Bodrum region, and explores a selection of the beautiful Greek Islands of the North Dodecanese archipelago. 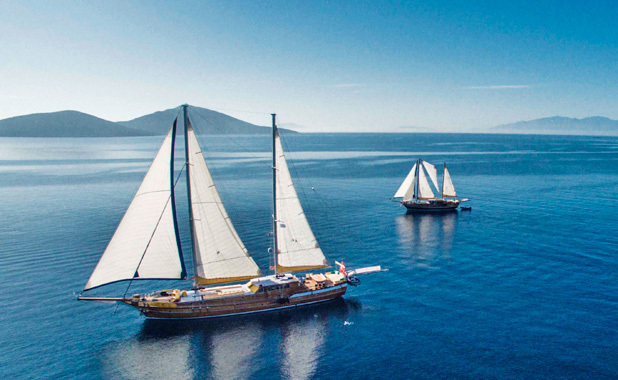 Relax into the idyllic rhythm of gulet yacht cruising, site-seeing as you like, enjoying fabulous swimming, relaxing on deck, and feasting like kings and queens both on and off board. 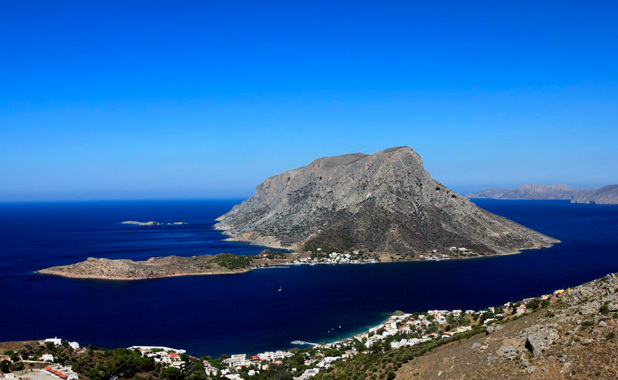 Set off from the vibrant, historic and cosmopolitan resort town of Bodrum sailing to the Greek island of Kalymnos, famous for truly pristine swimming waters, as an international rock-climbing destination, and historically as the island of the sponge divers. 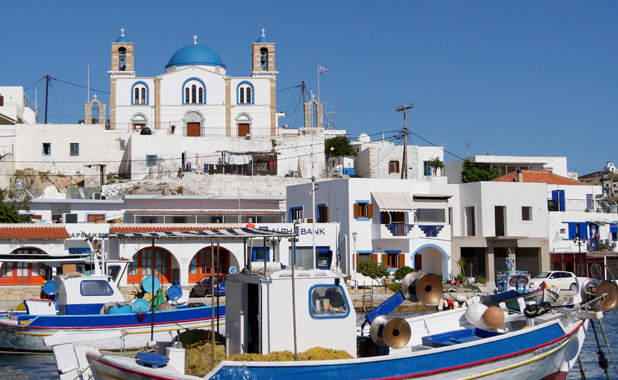 Explore the connecting islet of Telendos, tiny and tranquil with a sleepy village atmosphere. 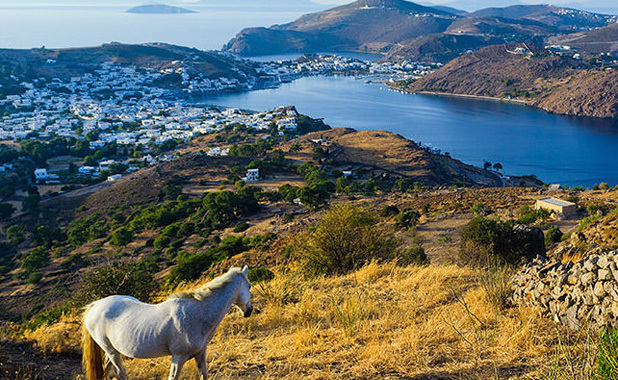 Next port-of-call is the island of Patmos, an important site of pilgrimage since ancient times and home to the fascinating Monastery of St John, many crystal clear bays for anchorage and fantastic restaurants. 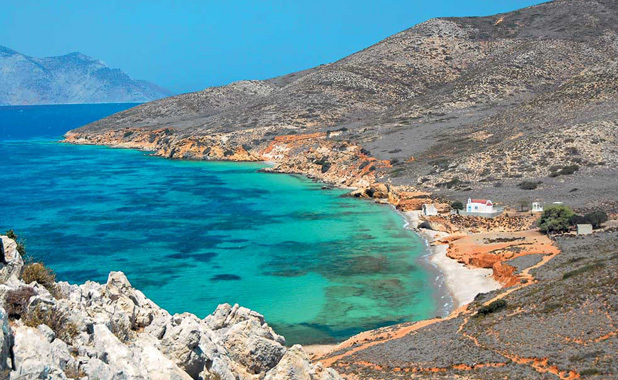 Next stop off-the-beaten-track at Lispi, an island featuring lovely virgin beaches, nature walks, a few rustic tavernas and a folky feel. 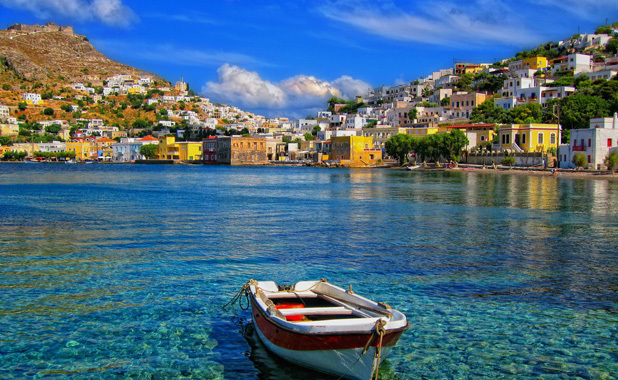 From here, cruise to Leros, great for shopping and chic restaurants, and a hot spot for mega yachts, while still characterful and laid-back with lovely neoclassical buildings decorating the harbor. 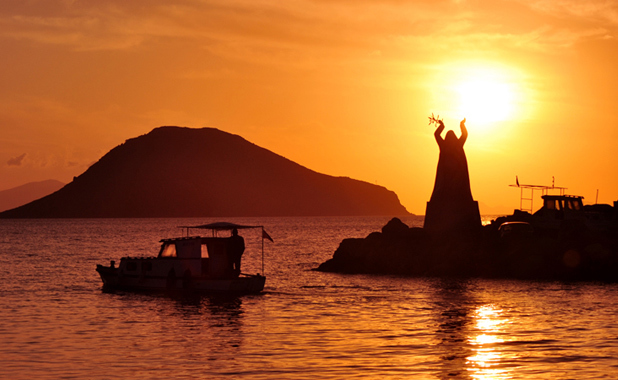 Cross back into Turkish waters to the bustling marina town of Turgutreis, and from here sail to discover the byzantine ruins and heavenly turquoise waters of the bay of Kisebuku before returning to Bodrum. Click on the left or right arrows on the map below to view the photo gallery. 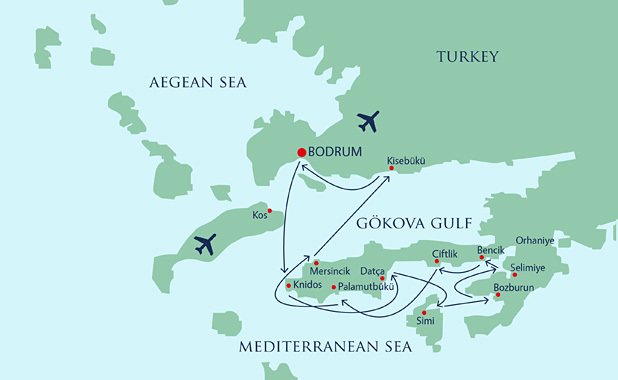 Departing and ending in Bodrum, this itinerary takes in the breath taking Turkish Gulf of Gokova, a scattering of unspoiled islands and dramatic coastlines fringed with many isolated coves and bays. 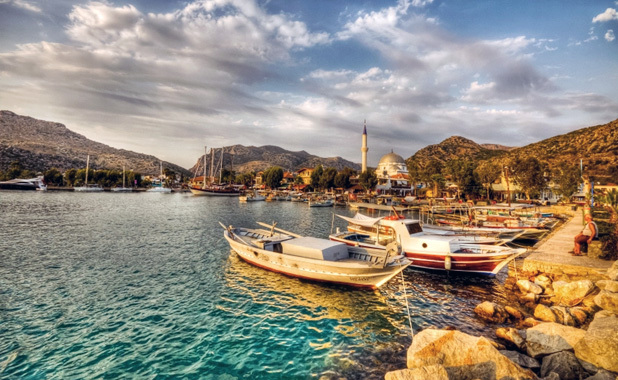 Set sail from Bodrum to your first destination, the lovely natural lagoon and ruins of Cati, where you will most likely begin a life-long love affair with this region of truly remarkable beauty. 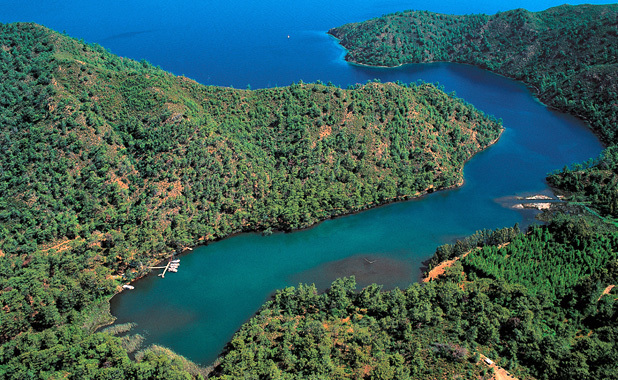 The region in the Gulf of Gokova known as Seven Islands, or Yediadalar, which features secluded turquoise coves graced by Storax pine forests, a rare species from which myrrh is extracted. 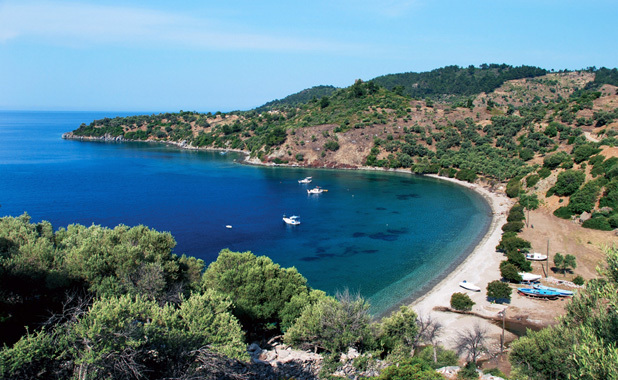 The waters here are out of this world, famously clean and great for snorkelling, while the coastlines of pine forests and olive groves are perfect for walking. 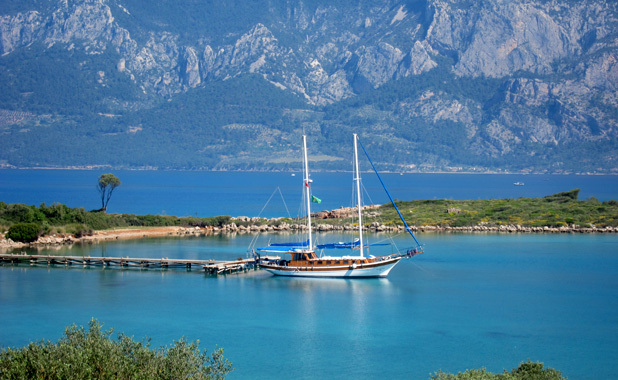 Sail on to the unique golden beach on Cleopatra’s Island, Sedir Adasi, and explore the amphitheatre and temple here soaking up the atmosphere of ancient mythology. 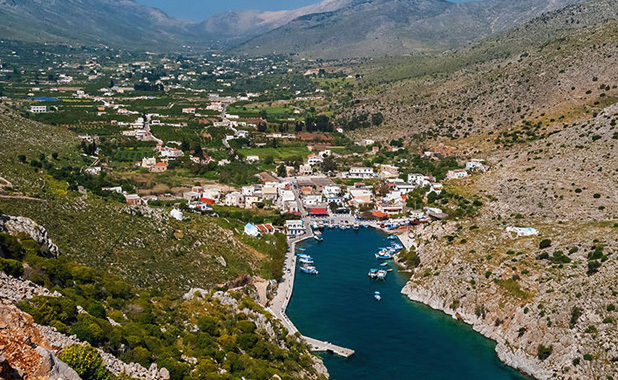 English Harbour and Longuz are both well-loved and idyllic spots in the gulf, famous for their sea life, incredible water, and as secret stops for sailors and fishermen for many years now. English Harbor is a beautiful hidden inlet that takes it name after being used as a base for British Motor Torpedo Boats in the Second World War. 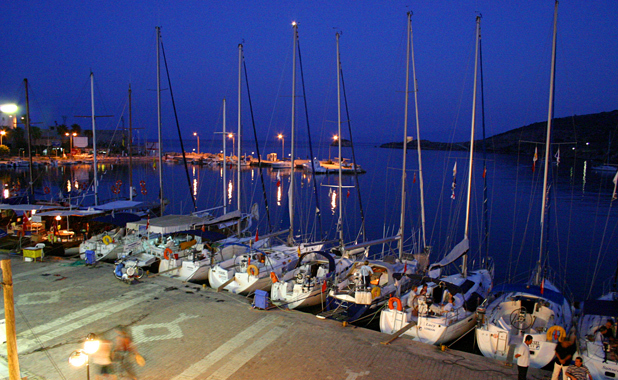 Here there are a couple of lovely restaurants on the waterfront serving local Aegean fish, seafood and meze under the stars. 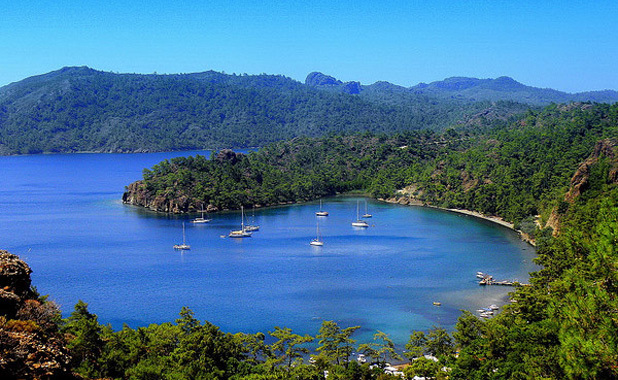 Stop at the relaxed village of Cokertme for great hikes, a sandy beach and delicious local seafront dining hosted by the famously warm locals. 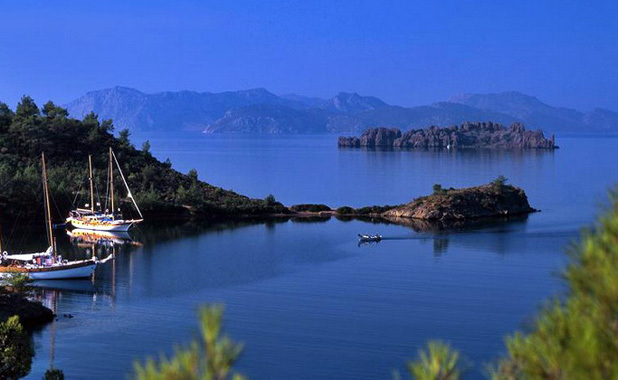 Finally, stop at the stunning bay of Kisebuku en route to Bodrum. 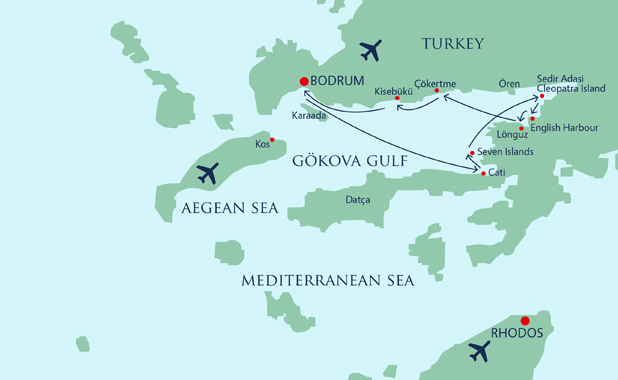 This cruise starts and ends in Bodrum. 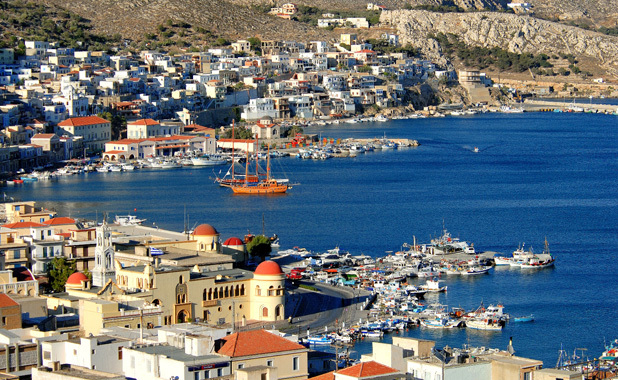 Embark and set sail across the blue expanse of the Gulf of Gokova for the ancient site of Knidos where the Aegean and Mediterranean Seas meet. 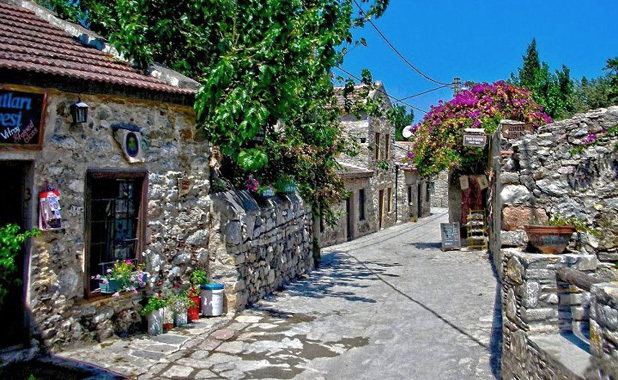 The next port of call is Eski Datca, a quaint town of traditional stone architecture and atmospheric side streets. 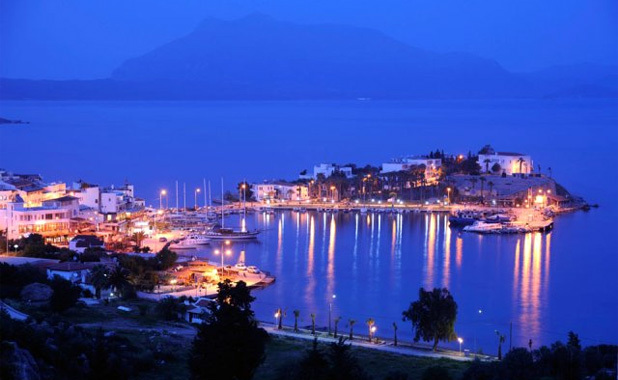 From here cross over to the Greek island of Simi with its extraordinarily picturesque Neo-classical harbour front. 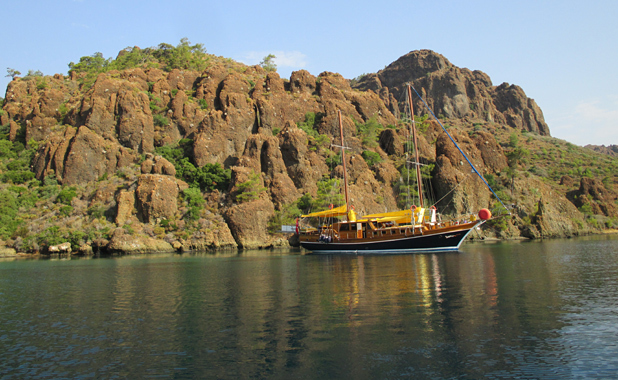 From Simi, return to Turkish waters and enjoy exploring further the enchanting Gulf of Hisaronu. 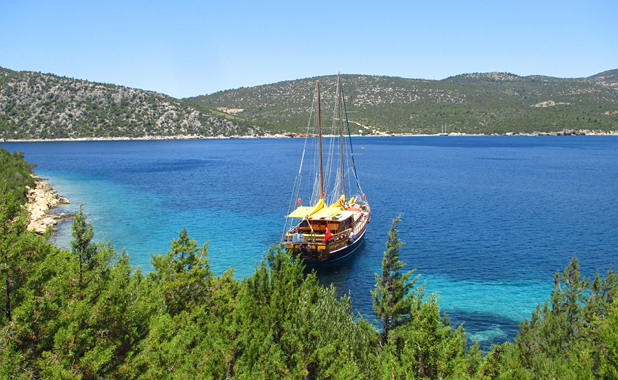 Sail back to Bodrum stopping at Bencik Bay and Mersincik with its amazing crystal clear waters. 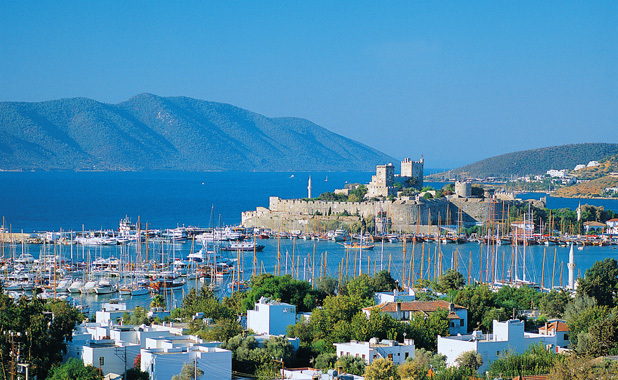 On your last day back in Bodrum harbour explore the historical town for sightseeing, shopping and great dining at your leisure. 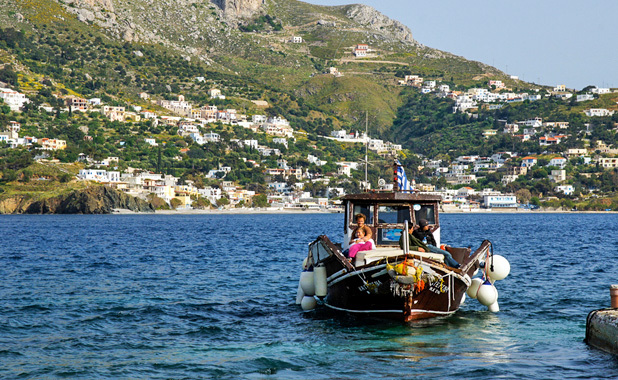 If relaxing on board, swimming from your yacht whenever you like and sensational dining al fresco on deck leaves you wanting just a little more, then enjoy a great selection of activities off board too. 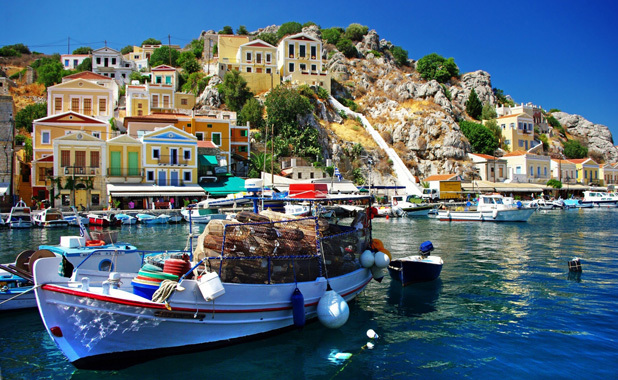 Things to do off the yacht include hiking, shopping, exploring ancient sites, experiencing local culture and festivals, and of course sampling some of best restaurants and tavernas in the Greek Islands and along the Turquoise Coastlines of Turkey. Find out more HERE. "Just wanted to let you know that the Menne group had a wonderful time. This is what she had to say to me. I just wanted to say thanks for your help. Everything went off so well-the transfers were perfect and the Fortuna and staff where better than ever! The food was AMAZING although probably a little too much- as a result we walked every morning AND evening and Hassan was wonderful about finding new walking routes for us. He put himself out no end to make sure that we enjoyed ourselves and as usual has a very happy and well-trained team working with him. 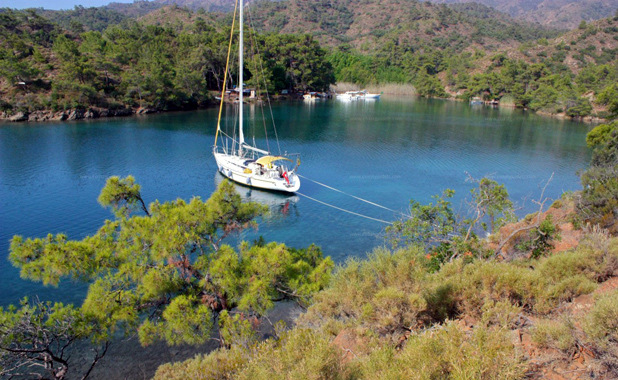 So, cok merci"
"It was a trip worthy of a lifetime memory! I actually cried when we left the Nikola. We are already planning our next trip when Aidan graduates HS in 3 years sailing from Simi to Kos up to Patmos! 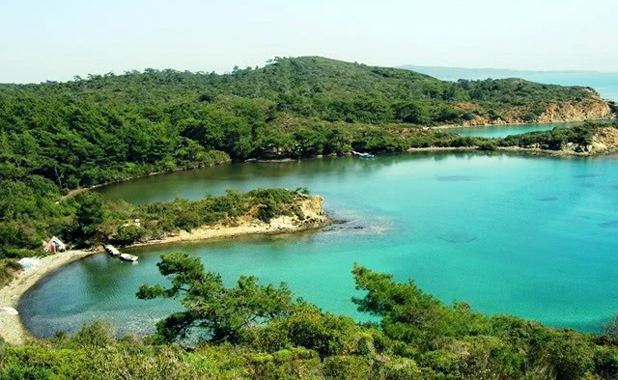 Of course I will send some of my favorite photos but I wanted to thank you right away for leading us to to Neyzen. I am convinced my rising sign must be Pisces or water because I felt instantly at ease in every way and will sorely miss the sight, sound, smell and every sensation of our sailing trip. More later"
"Sherri and I just wanted to thank you for setting up this wonderful trip. We are back in steamy Florida and looking at the pictures we took and came across this one the Paparazzi missed. In tribute we made stuffed eggplant today with lamb and pomegranate sauce and sumack spice to remind us of the great cuisine introduced to us. 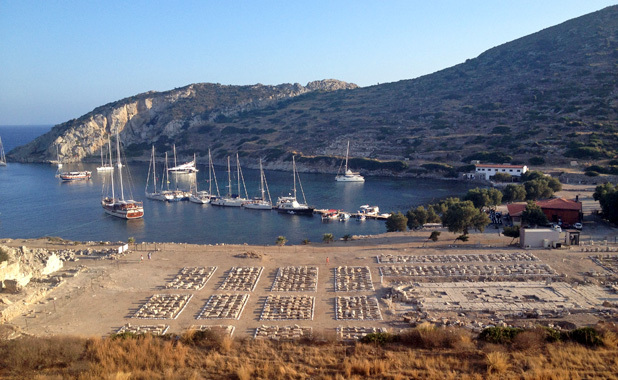 I think we had our best food and most relaxing time on the Flas VII. 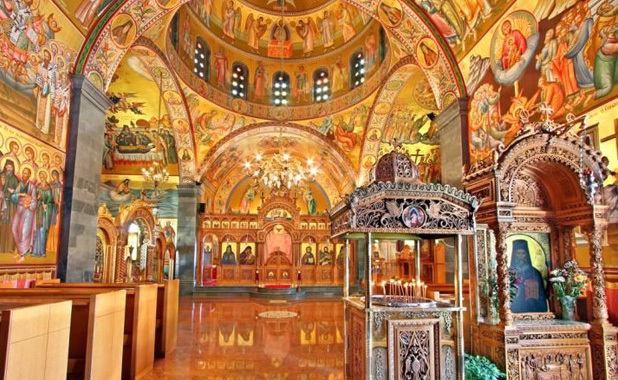 We look forward to traveling to your part of the world again or at least recommending it to our friends here in Sarasota. 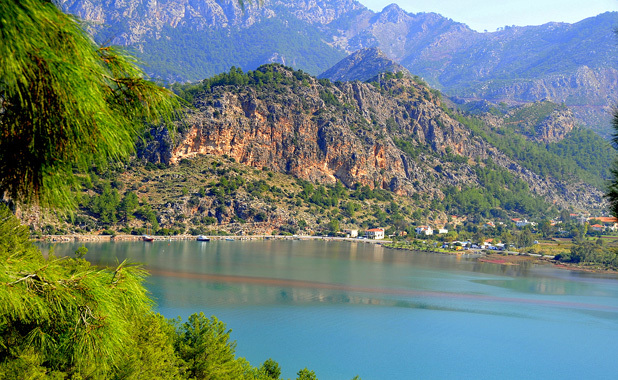 If you pass this way again, please let us know so we can share photos, memories and Raki. thanks again"